I know it’s been ages since I churned out a blog post, but life has been keeping me busy on the job front. 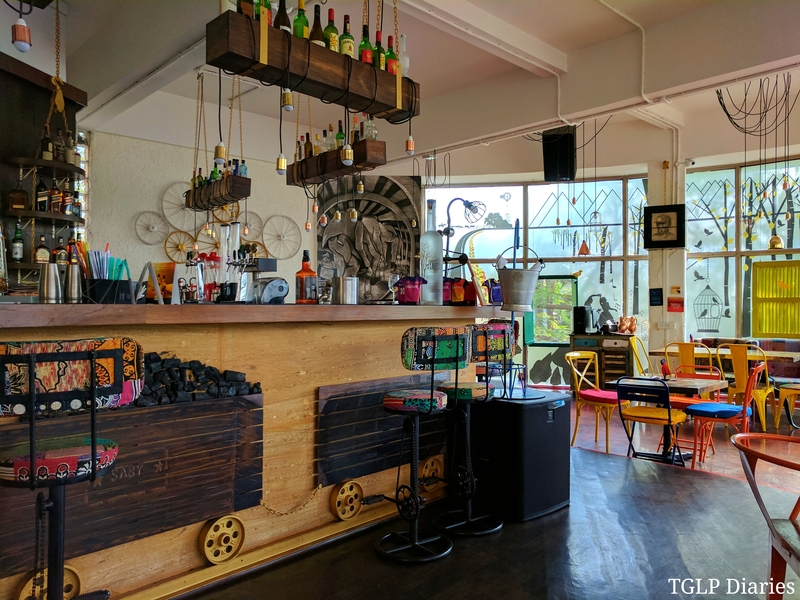 Apologies to those who have been waiting for this particular post… The one about our positively lovely Sunday brunch at Mineority by Saby in the heart of Kalyani Nagar, Pune. A fun-filled weekend spent with my cousin and friends, a few of us decided to brunch at Mineority before driving back to Mumbai. What a fab decision it turned out to be, courtesy – Amrita who was pretty kicked about checking this place out. The menu is quite extensive yet one of a kind, where they not only have international (aka, Continental) offerings for those who want to play it safe but a range of fantastic North East Indian food consisting of traditional preparations from Meghalaya, Assam, Bengal and other pan Indian mining localities (that’s why the name, MINEority). A fair warning to all my vegetarian readers… this write-up has zero vegetarian dishes mentioned except maybe the chips that came along with our meals. But if you’re a meat lover, you can’t miss this post for anything! 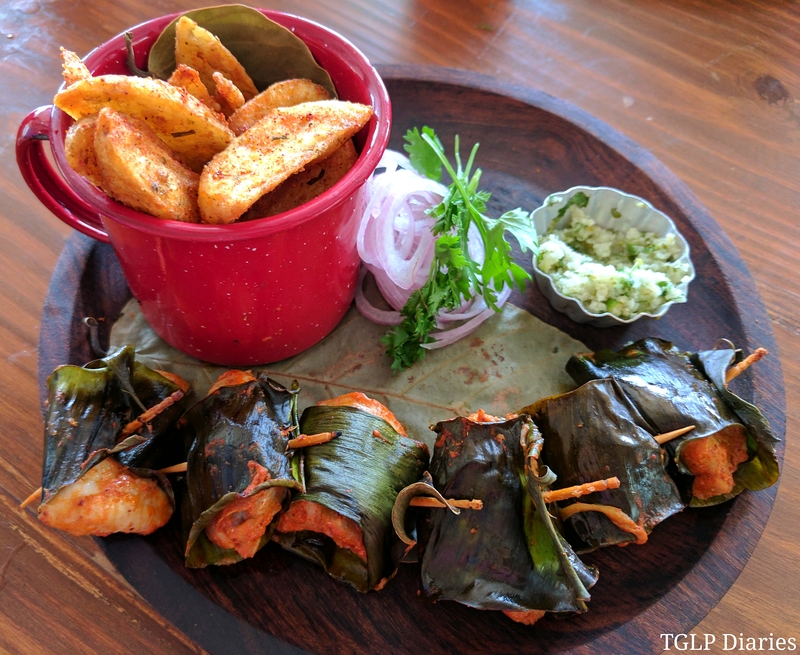 We ordered for 2 (national) small plate preparations out of which the Tribal Fish and Chips was an absolute stunner. Although visually it looks a little questionable, the moment you take a bite, you know you should never judge a dish by the way it looks! Moving on the main course (big plates) we ordered for pretty much everything from the (national) non-veg menu. We started off with the Shillong Mylliem Chicken. 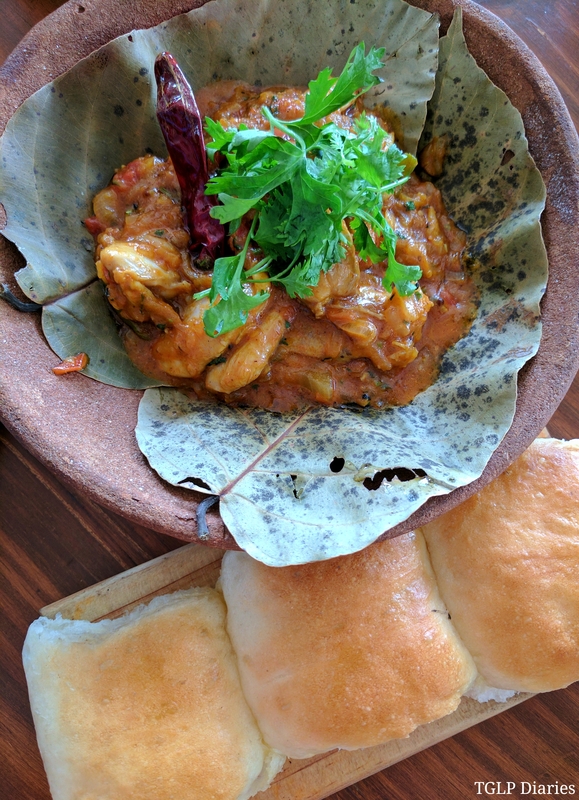 Served with buttered pav on the side, this succulent stir-fried chicken with khasi pepper, onion, Himalayan garlic, and ginger is quite a treat. 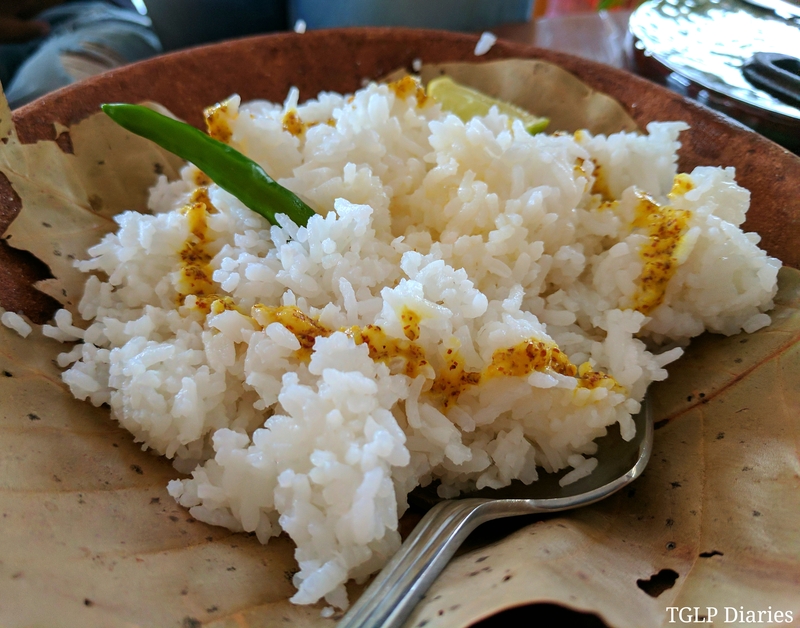 One of my favourites of this lazy afternoon brunch, we couldn’t get enough of the Guwahati Gateway Pork. Beautifully cooked to perfection, this stir-fried pork, onion and Himalayan garlic is served with home-style butter rice topped with a dash of kasundi and is a wholesome meal in itself. 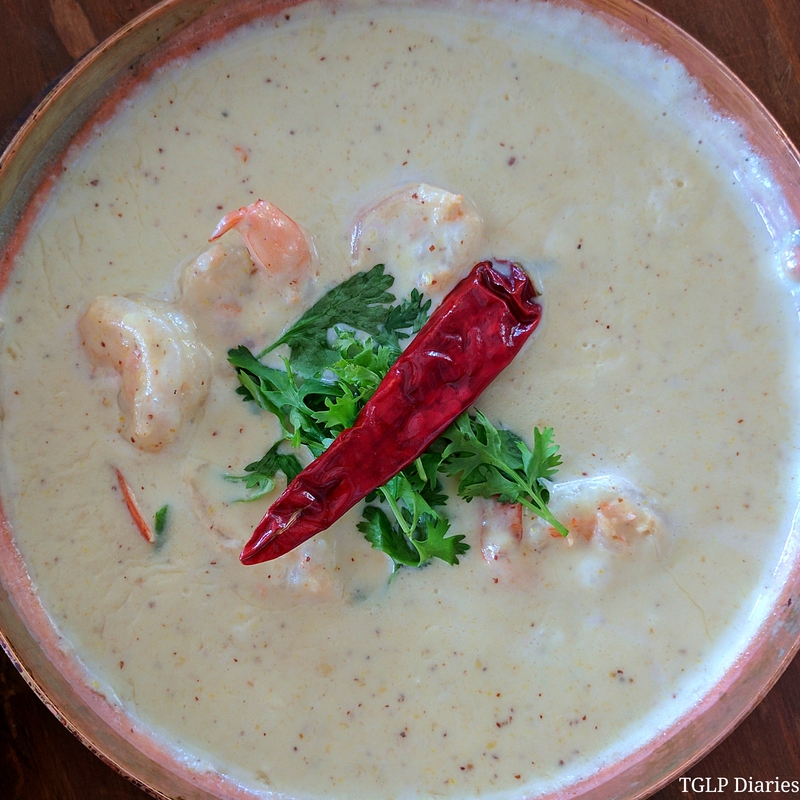 We then tried out the Chingri Malai Curry – prawns prepared in coconut milk and mustard which is a lovely creamy gravy served with kasundi buttered rice. 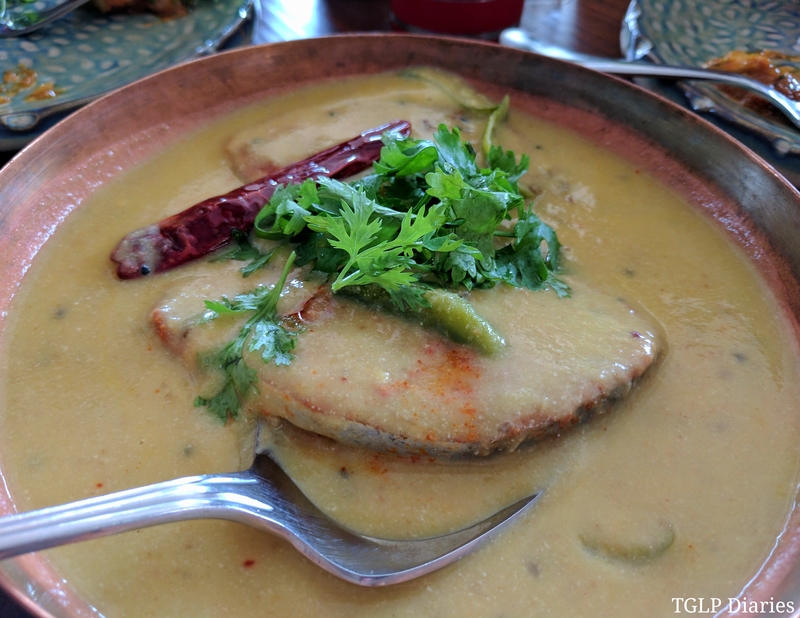 The prawns were extremely fresh and well cooked but personally, the gravy gave out a thai green curry-ish flavour. Not like it tasted bad, but this dish can be enjoyed better without keeping the bengali touch in mind. To all the mutton lovers out there… this one’s for you. 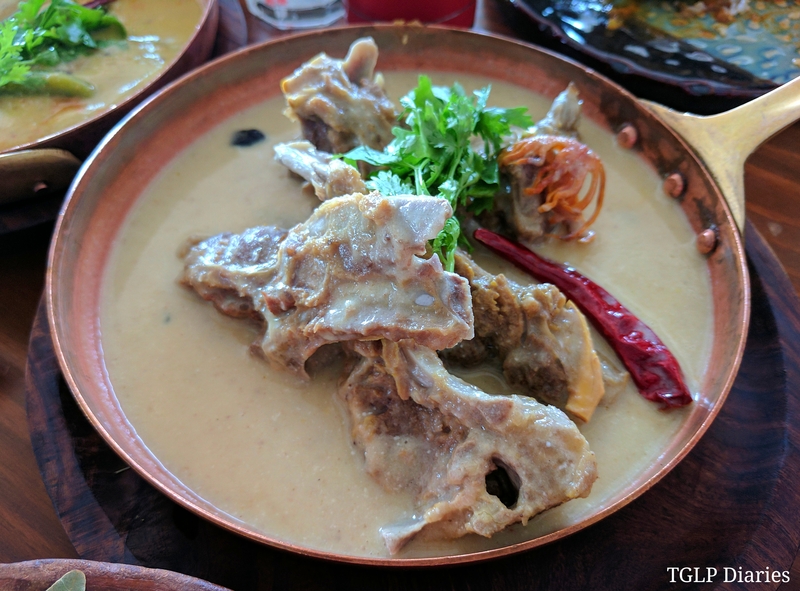 Dad’s Royal Rezala is basically fragrant mutton stewed in spiced yogurt curry served with aromatic sticky rice. Creamy and wholesome, I see no reason why this one shouldn’t make it to the favourites’ list. PS. It’s a bone-y affair so be prepared to get your hands dirty. 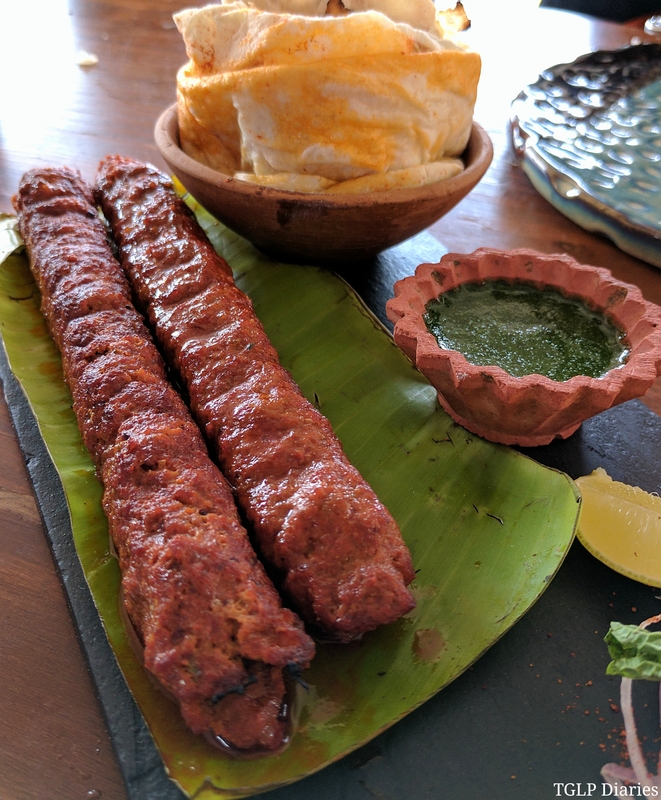 Last but not the least, we checked out the Hyderabad Nizam’s Mutton Seekh that comes with some traditional flatbread. 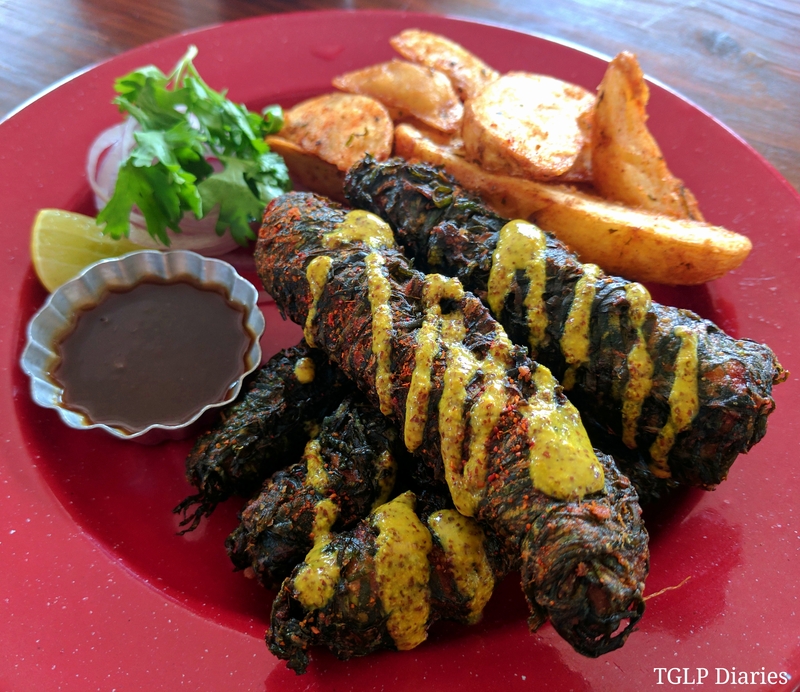 Charcoal grilled minced mutton seekh kebabs that can make the worst of days better, it’s comfort food at its best. Have it while it’s still hot and you’ve got a melt-in-mouth experience in store for you. You’d think after having a meal as massive as this, we’d have no space to include dessert. But guess what? We went ahead and had ONE dessert because that’s just how a meal should always end… on a sweet note. 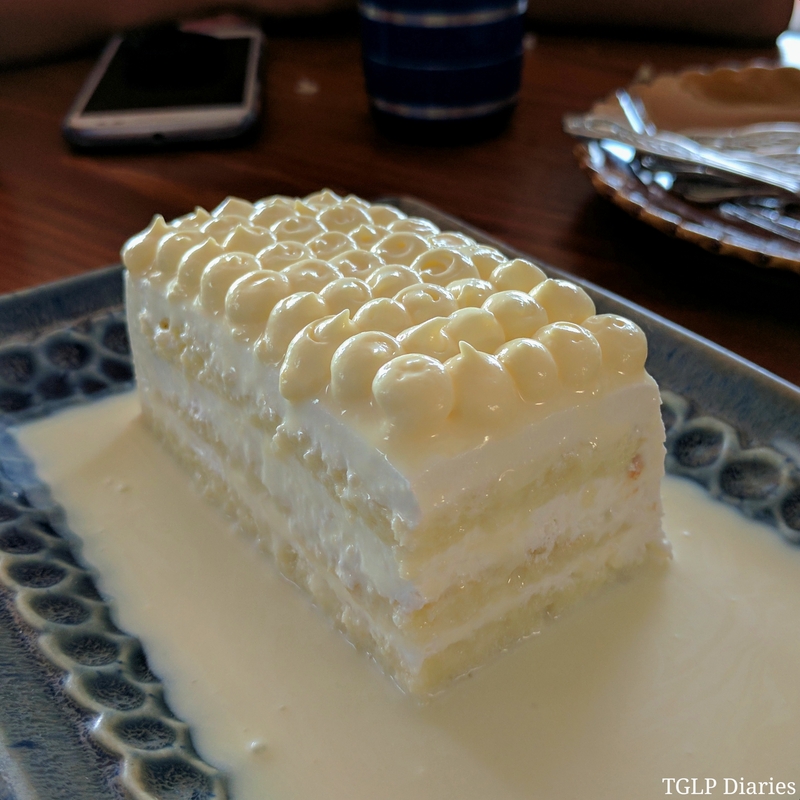 We ordered for a slice of Tres Leches Cake (Latin-American 2 milk cake, condensed, dehydrated and cream) and although it was a tad bit too sweet, it’s a good thing we shared 1 amongst 6 of us. A bite or 2 and that was more than enough to feel satiated! 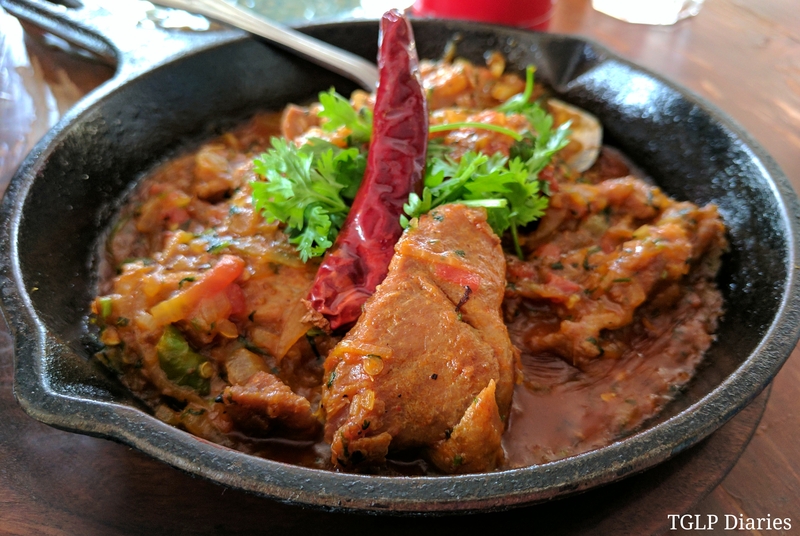 Now that I am back in Mumbai and write about this… I can’t wait to go back to Pune to get my hands on the rest of the preparations they have to offer. The place exudes some really fun and exuberant vibes with colours and quirky elements that make up the interiors.